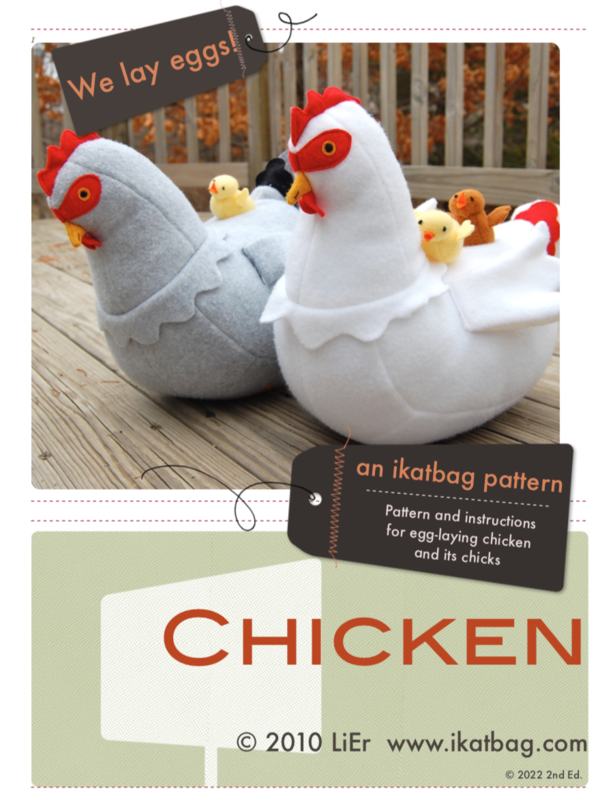 Pattern and instructions to make an egg-laying chicken and chicks. Chicken is about 14" from head to tail and about 11" high. It has a hidden channel for medium-sized eggs. 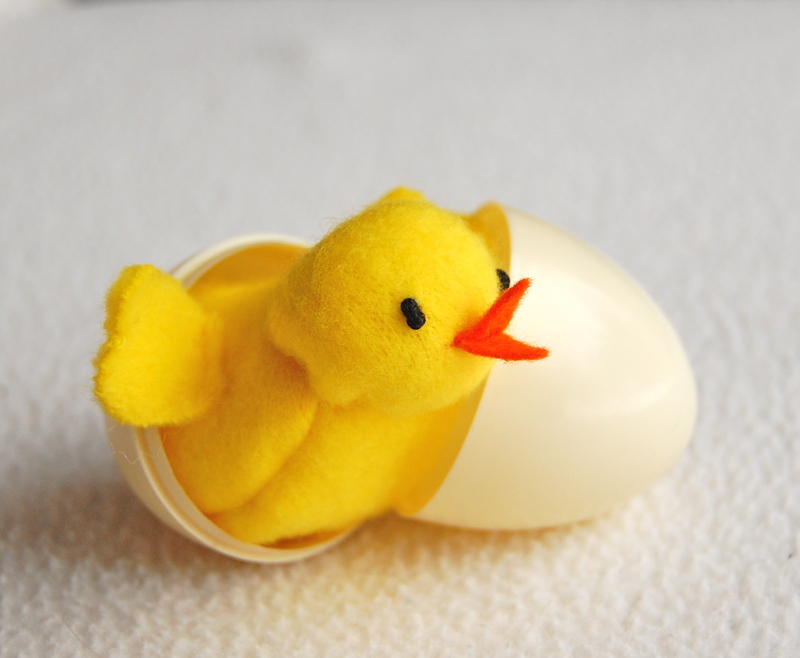 Chicks are designed to fit inside a medium-sized plastic egg. 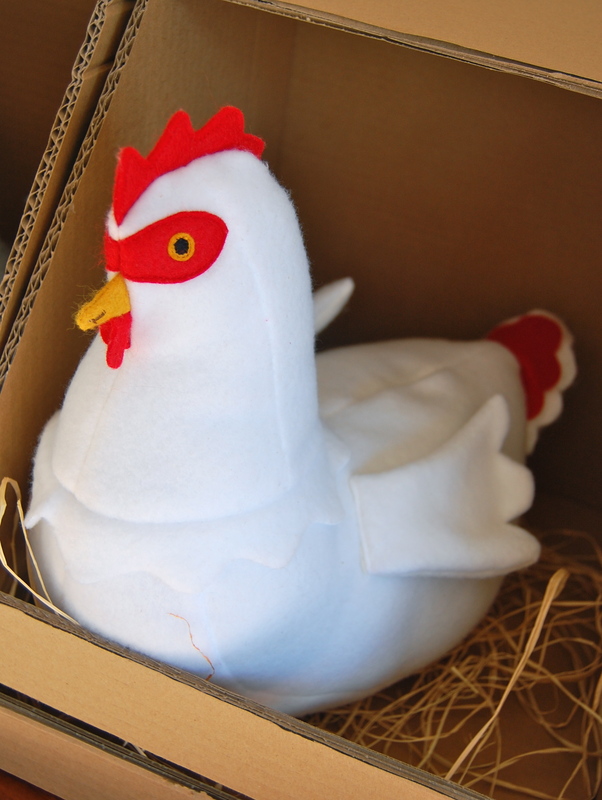 Eggs (not included) are inserted in an opening in the back of the Chicken and are "laid" by squeezing them through an egg channel .